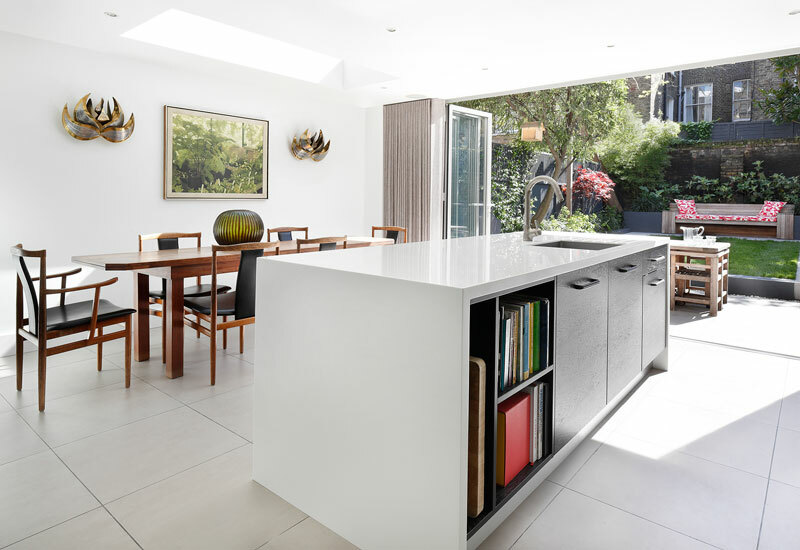 I had worked together with London based interior designer, Sarah Chambers, previously on a project in Dublin and she liked our design approach and quality of product so much that she asked me to collaborate on a kitchen design for on her own house. An interesting combination of materials in this project from black powder coated frames with reeded glass centre panels that refract the light. The extractor hood is black powder coated ferrous metal to allow magnetic connection of photos, etc. 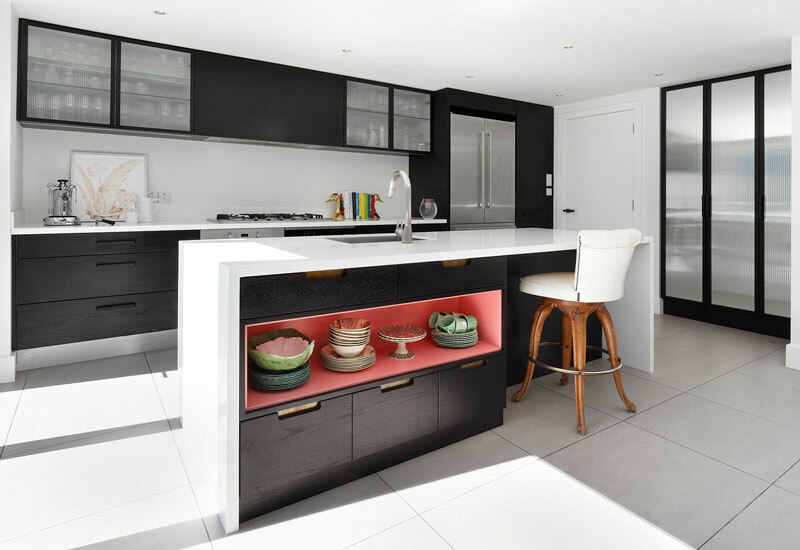 A dark stained black matt finish to the oak timber drawer fronts and an accent of colour with a bold pink to soften the masculine black. Antiqued brass recessed handles are a head nod to her antique brass wall lights opposite.